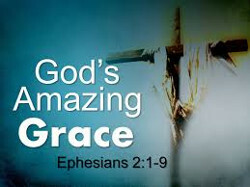 The following are the lyrics to “Amazing Grace” first published in 1779, a praise song written by John Newton, a former slave ship captain who heard God's Word. He was a self-proclaimed wretch who once was lost but then was found, saved by God's Amazing Grace. And, we too were lost but, Thank God, we were found and saved by God's Amazing Grace – Hallelujah! Wow...now thats news to us...1779, an enduring song through the ages, thanks enjoyed your post. Another spiritual uplifting post you have shared in the SE community. I love the song Amazing Grace. The lyrics are so beautiful. It has been shared everywhere for more to see.